A healthy ecosystem, healthy yard and garden must filled with the insects. They are one of the challenging sides of the biological system and very hard to eradicate completely. Insects acts as prey for birds, lizards and other wildlife. This also assist in pollination efforts which helps to break down soil nutrients, compost and become soil nutrients/compost themselves when they die. 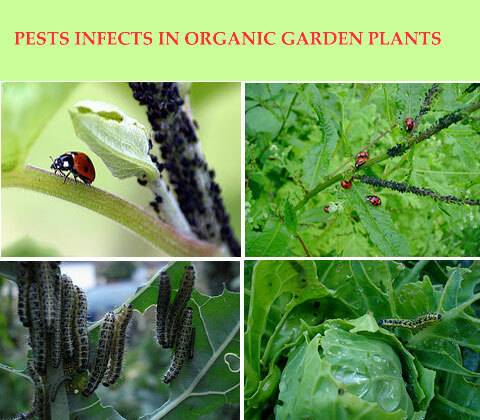 Organic garden pest control might seems to be metonymy but according to nature actually it's not. 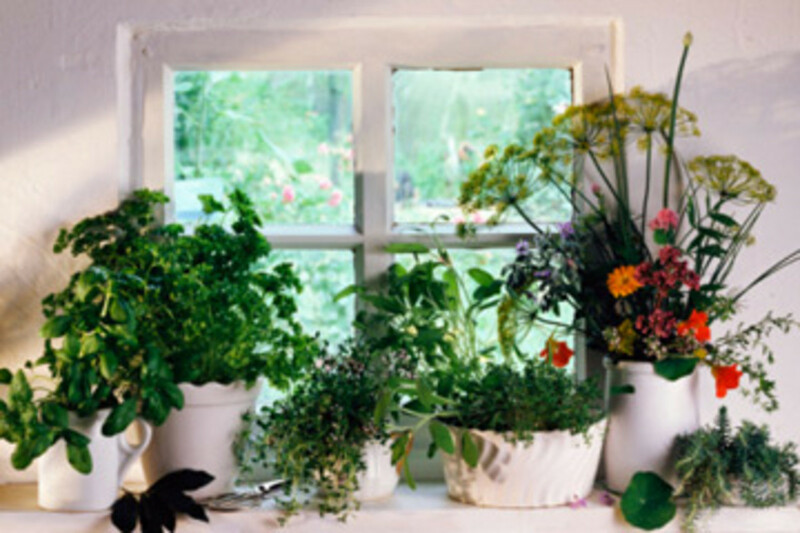 It contains a mixture of preventative methods as well as supporting the natural eco-systems. Although there are wide range of natural products that available for controlling insects and intervention by such means should be the last thing done. 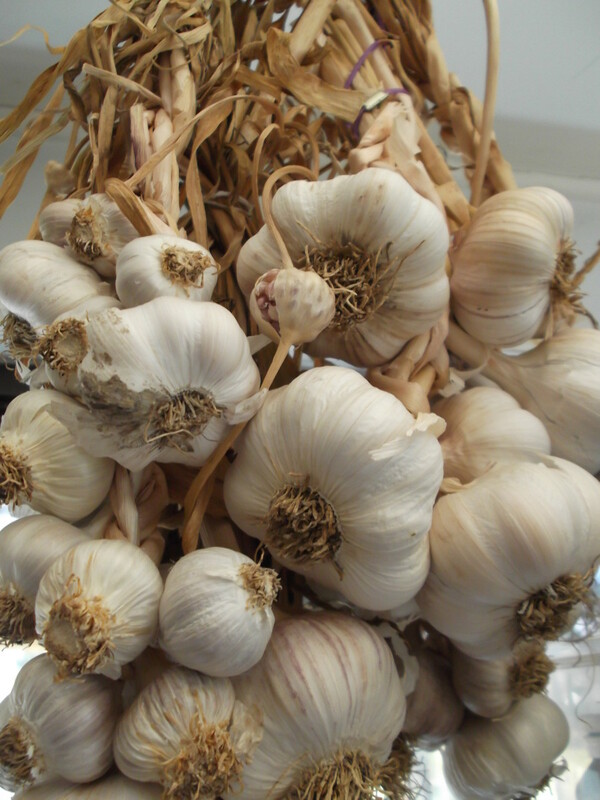 Garlic Juice is the one of the best natural pesticides for organic kitchen garden. 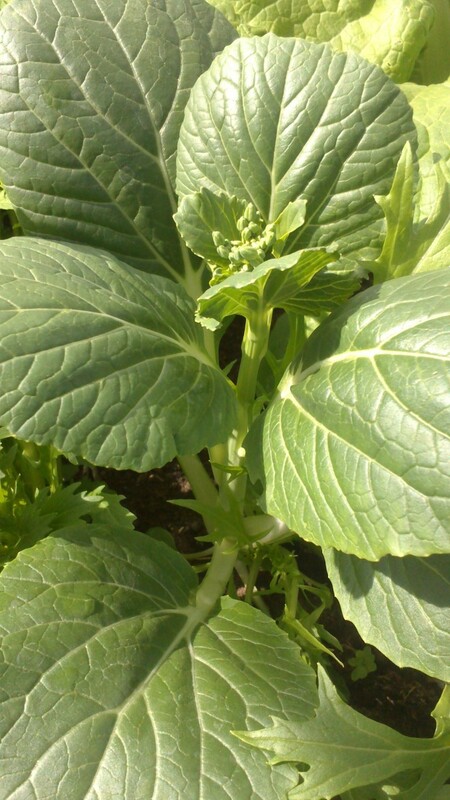 In old era, our ancestors effectively used this type of organic ailments for the plants to keep them safe from the flees and green worms which destroy its flowers, leaves and stem. Garlic spray is beneficial for controlling mealy bugs, aphids and other kind of sucking insects. 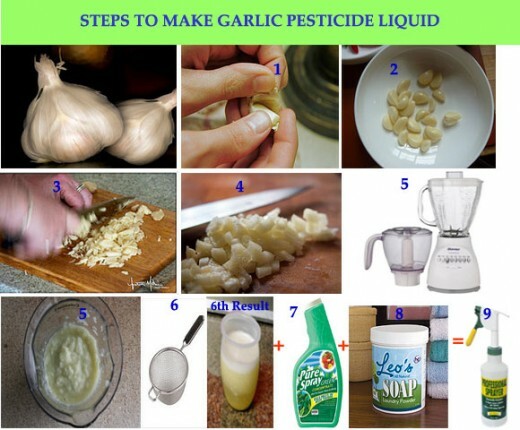 How to make garlic pesticides in home? In most of organic plantation periods, pests are always dangerous to cut or eat the plant leaves, lay their eggs on plants and destroy the fruits or vegetables. 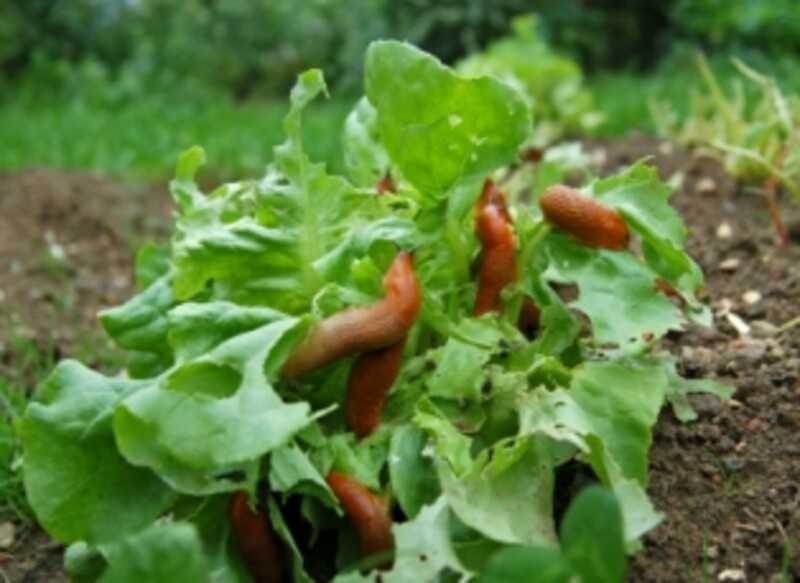 You can see how the pests that infects the organic garden plants in the picture given below. 200 grams of garlic bulbs. 25 grams of normal soap powder. 10-15 ml of mineral oil or paraffin oil(Pure Spray Green Horticultural Mineral Oil ,Cost:$19.15). Garden Sprayer(Professional Spray Bottle - 32 Oz - Industrial Strength,Cost: $ 6.94). You can see the pictorial representation of these steps shown as above for clarity. 1. Take 200 grams of garlic bulbs to mince fresh garlic begin by separating the head into individual cloves with your hands. Smash garlic clove under the blade of a chef's knife by hitting the blade with the palm of your hand. This breaks the clove open and releases the peel. 2. Slice the entire garlic clove equally as the slices are thinner the work will be better. 3. Make the slice of garlic in crosswise. The thin cuts across the layers will give you the finer mince. 4. Your knife must runs back and forth across the minced clove to get the finer cut or to eliminate any large pieces that may remains. 5. Take 300 ml of water in a food processor jar (Mixer) then add the minced or chopped garlic into the jar and run it for 5 to 10 minutes for perfect smash. 6. Transfer the garlic puree juice or mush into a strainer or punch bowl. Use a strainer with small to medium-sized gaps. Fine gaps will allow you to separate as much of the solid from the liquid as possible but they may delay the process. Also medium gaps offer a nice balance between speed and quality. Finally pour out the 5th step resultant through the strainer or filter into the vessel. 7. Now add 25 gram of natural soap powder in 200 ml of water later blend it well to make it dissolve into powder completely and add this with 2 teaspoon of mineral oil or paraffin oil(Here I am using Pure Spray Green Horticultural Mineral Oil )to stir enough. 8. Mix up the liquids from step 6 and 7 together and transfer into glass container and tightly seal the cap. Please keep this mixture away from children for 2 days. 9. After 48 hours take the glass container liquid and add 500 ml of water to dilute the garlic liquid .If you want to dilute this again as per the plant size and infected percentage, you can add some more water. 10. Fill this diluted garlic garden pesticide in the sprayer then you can use this to spray the plants in your organic garden. Do this spraying twice in a month for better results. 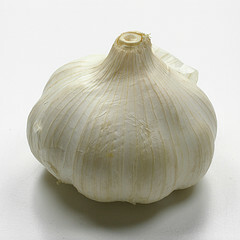 Garlic Spray is also used to repel insects. You can make a garlic oil spray by soaking fresh minced garlic in vegetable oil for several weeks. This can be mixed in a spray bottle with about 3 parts water to one part garlic garden pesticide and sprayed on your leaves or around the stems of your plants. Gruel Water (Rice boiled water) is another pest control method for killing insects in leafy vegetables. You need to cool it before add some fresh water to dilute and then spray into the affected leaves. In the attached video, you can see similar kind of procedure for making organic garlic pesticide.When you watch this video,Please keep in mind that i didn't use pepper and I did use to add some more items like mineral or paraffin oil and natural soap powder after making the garlic juice. I would recommend to follow my steps and pictorial representation for making this pesticide. May be this video can help you to make garlic juice concentrate and how to extract it very well. Now It is very easy to made organic garlic pesticide in home.Let go , try to tell your results in comment section.You can ask any doubts about this procedure, surely i will help you. 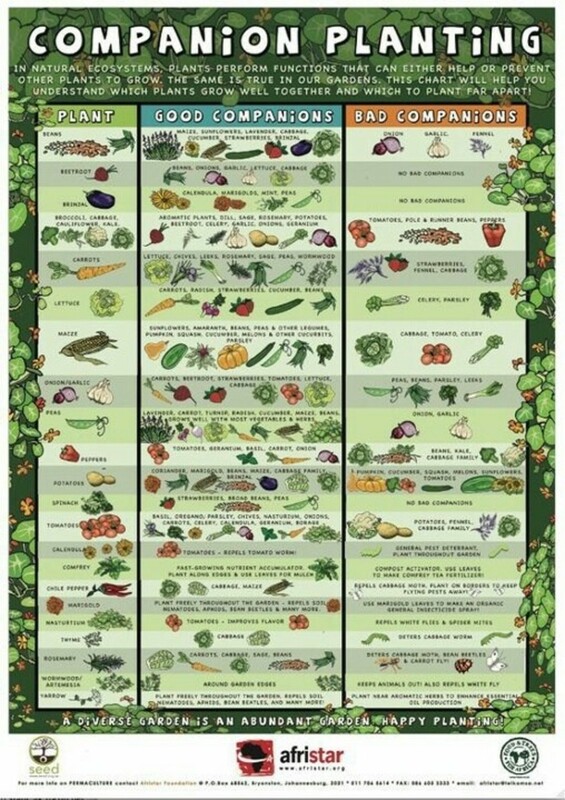 What kind of pesticides you really like to use in your gardens?